Oouey is a Simple Worm with a Simple Plan — LOVE! ‘Truth’ is akin to ‘Cool’ as both are repulsive to the ‘Un’. He is here to make a difference as he is on an mission. He wants to Bring Joy to the World as Peace On Earth! But, he needs some help. Oouey is all for Civil-Rights as Well as Human-Rights but, he is disgusted as far too many people worry about their individual rights and ignore their responsibilities to their fellow man. Thus, he is Ready to Start a Revolution, A Spiritual Revolution. Actually, he intends to Free Mankind from Hunger, Poverty, Greed, and Corruption in the Name of Humanity. But, he needs your help so, spread the word to all of your friends about this website. For Oouey believes in the Children of the World. They Hold the Keys to the Future and are our only HOPE En-route to B4HEART. Watch Oouey below — on YouTube! Thus, Darwin recognized the value of their tilling and of coarse, their Divine Poo-Poo; better known as Top-Soil. But, how many of us take the Earth Worm for Granted? Next time you see a Worm, you better think twice and Thank God for these Precious Gifts which are here to Grace this Planet, not destroy it. Better yet, you might want to Thank the slimy little fellow your self. 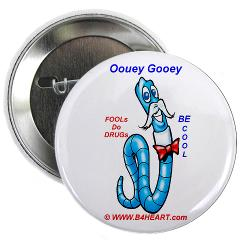 For I Believe in Miracles and I believe my Holistic Worm — Oouey Gooey is here to Make a Difference! “Surprise will challenge kids to step forward and make a difference. This soon to be spiritual classic should not be missed.” Outskirts Press, Inc.